If you're not familiar with dead bugging it's when you need to add components to a circuit board and have no place to put them so you glue them upside-down and run jumper wires to complete the circuits. It's usually a big mess. A military contractor had an engineering change to implement to a batch of circuit board that involves the addition of 16 components. The original solution was to dead-bug the components and adding 30 jumper wires to some lifted component leads and surface pads. Figure 1 - Typical dead bug rework, a big mess. We were asked if we could improve upon the fix. As always the need was urgent and there was not the available time to re-spin the artwork and fabricate new boards. In addition to the immediate need for the 25 or so assembled boards there was a large quantity of bare boards at the contract manufacturer held up awaiting a solution. After reviewing the project, we proposed bonding new copper conductor foil patterns directly to the board surface. Components could then be soldered to the new copper foil patterns at locations designed for each component. This method would also significantly reduce the need for jumper wires. See Figure 2. Figure 2 - New copper foil patterns prior to trimming and bonding to the circuit board surface. Two complete patterns are shown. 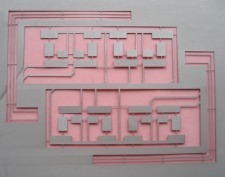 For this project the accuracy and placement of the new conductor patterns was critical because these were bare circuit boards and the contract manufacturer wanted to run the bare boards through their normal stencil printing, placement and reflow process. To ensure accuracy we first milled away solder mask from the area where the new patterns would be bonded using a milling machine and carbide end mills. 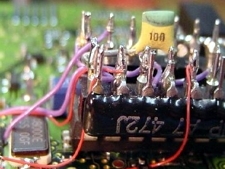 Figure 3 shows removal of solder mask from the circuit board surface. 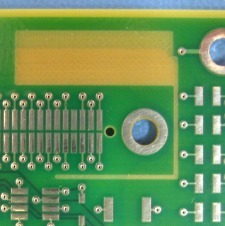 Figure 3 - Light areas show where solder mask was removed by milling. Next the new copper foil patterns were trimmed, positioned using a fiducial reference and bonded in place using heat and pressure. The copper foil patterns have a dry-film adhesive backing and are designed precisely for this type of application. This dry-film adhesive bonding method is a common IPC recommended method for replacing damaged surface mount and BGA pads. 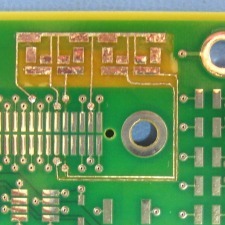 Figure 4 shows the new copper patterns bonded to the circuit board surface. In this case the final steps were completed by the contractor when they ran the bare circuit boards through their normal assembly process. A hearty handshake and pat on the back go to Dale Eckert-Granger and Nick Arivella, two senior technicians at Circuit Technology Center for their pioneering work on this project. They have a combined 48+ years of circuit board repair and rework experience that is truly unmatched.